The OPPO Reno series is finally official through a dedicated event on Chinese soil. The manufacturer has announced Reno's 10x Zoom, packed with peak specifications, including the triple 48MP camera with support for the 10x hybrid zoom. Also announced is a "standard" edition of the same device, a medium-high end device powered by the Snapdragon 710 SoC. OPPO Reno 10x Zoom shows a glass rear body and a 7000 series aluminum alloy frame. It measures 162x77,2x9,3mm and weighs a total of 210 grams. The 6.65-inch AMOLED display contains no sign of notches or holes and supports FHD+ resolution (2340x1080 pixels) and promises a screen-body ratio of 91.3%. The panel is also HDR10+ certified and integrates a sixth generation fingerprint reader. All this is protected by Gorilla Glass 6. Under the hood of the Reno 10X Zoom you can find a SoC Snapdragon 855 with 8GB RAM and an internal memory capable of reaching up to a maximum of 256GB, expandable via microSD cards. 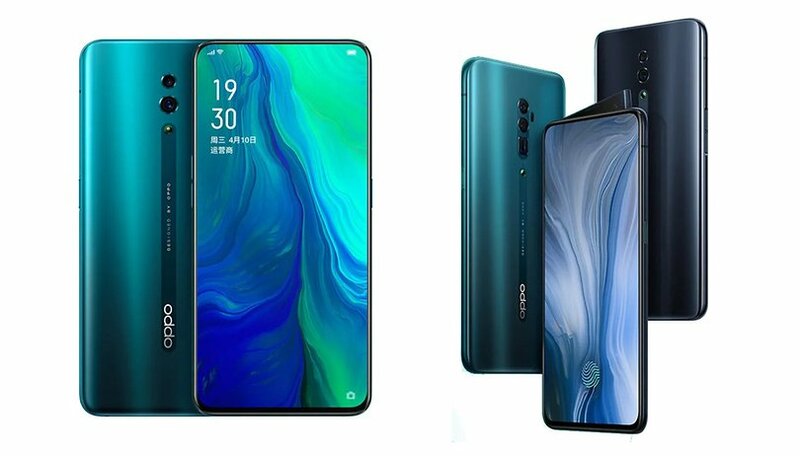 The 4065 mAh battery supports fast VOOC 3.0 charging and, for heat dissipation, the OPPO Reno 10x Zoom is equipped with a liquid-cooled heat sink. The smartphone also features a 16MP front camera with LED pop-up flashes via a uniquely designed shark fin pop-up module. On the back, OPPO chose to use a triple camera configuration that includes a 48MP Sony IMX586 main sensor, an 8MP secondary sensor and a 13MP periscope with optical image stabilization. The configuration ends with a double LED flash and laser autofocus. The standard version of the OPPO Reno features a Snapdragon 710 processor, which also comes with 8GB of RAM and up to 256GB of expandable internal memory, and a dual configuration for the 48 megapixel + 5MP rear camera with OIS. It also features a 16MP front pop-up camera with LED flash, a 6.4-inch AMOLED screen and a 3765 mAh battery with fast VOOC 3.0 charging.